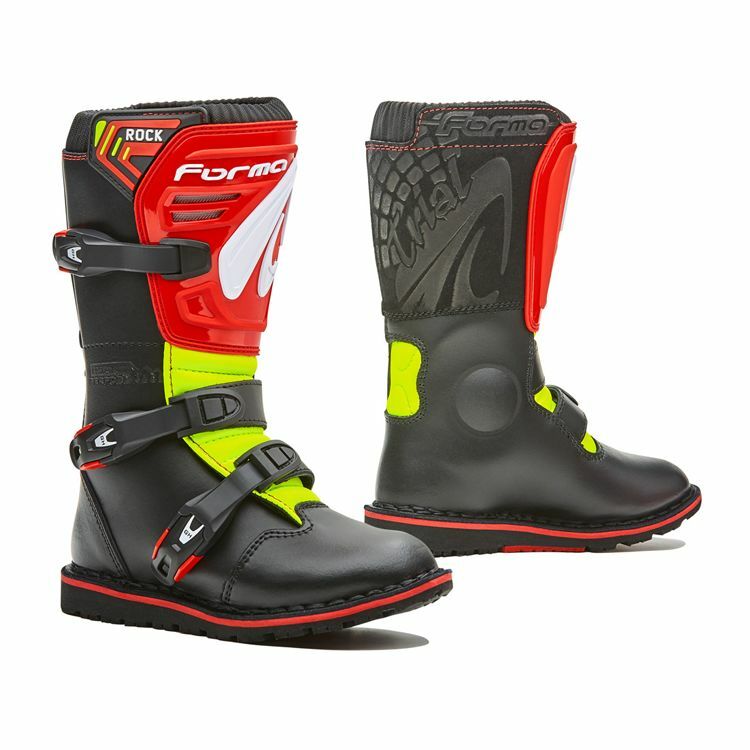 The Forma Rock Boots for Youth offer a superb platform for many different types of riders. The leather upper and trials anti-slip sole offer great range of motion and are just as great for rock hopping as they are for hill climbs. Integrated shin and ankle protection along with polyurethane nylon reinforcements give you CE certified protection when you need it.